[FREE IRAN Project] In The Spirit Of Cyrus The Great :: View topic - H.E. Fereydoun Hoveyda has passed away. Posted: Sun Nov 05, 2006 12:11 pm Post subject: H.E. 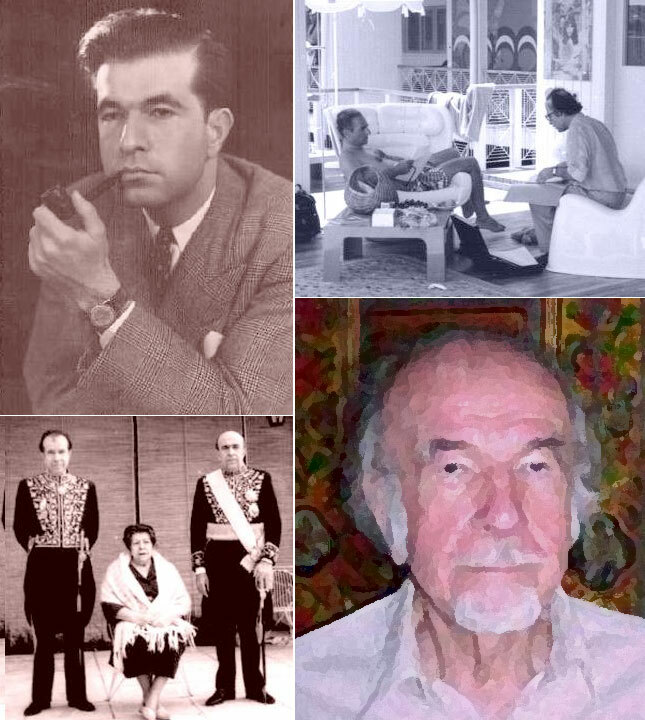 Fereydoun Hoveyda has passed away. Iran has lost yet another worthy statesman; His Excellency Fereydoun Hoveyda, UN Ambassador of Imperial Iran. People like Hoveyda's, Bakhtiar's, Farokhzad's, Rahimi's..... are simply one of a kind; they don't make men like that anymore it seems. Although I might not agree with all viewpoints that the late Ambassador had I am grateful for his service during Imperial Iran. I never had the honor to meet him in person but did have the pleasure to exchange an email with him through his website (http://www.hoveyda.org/) dedicated to his late brother PM Amir-Abbas Hoveyda. My condolences go out to his family and friends. God bless him. Fereydoun Hoveyda, who signed the Charter of the Universal Declaration of Human Rights on behalf of the Iranian government in 1948, has passed away today. A former Ambassador to the United Nations and one of the founders of the French film magazine Les Cahiers du Cinema, Hoveyda was a respected friend of intellectuals and artists. He was the brother of the former Prime Minister Amir Abbas Hoveyda. Clockwise: Hoveyda in Paris (1946), with Mohammad Reza Shah (circa 1977), at his home (circa 1999), with brother and mother (1970s). United Nations, died of cancer Friday at his home in Clifton, Va., a family friend said. He was 82. Hoveyda was born in Damascus, Syria, in 1924. He earned a Ph.D. in international law and economics from the Sorbonne in Paris. In 1948 he participated in the drafting of the Universal Declaration of Human Rights. From 1952 to 1966 Hoveyda worked in UNESCO's mass communications department. In 1965 his brother, Amir Abbas Hoveyda, became prime minister of Iran; the next year Fereydoun Hoveyda became Iran's deputy foreign minister in charge of international organizations. He served as Iran's ambassador to the U.N. from 1971 to 1979, the year his brother was executed after Iran's Islamic revolution. After leaving the Iranian foreign service, Hoveyda became a senior fellow at the National Committee on American Foreign Policy. His books include "What Do the Arabs Want?" (1991), "The Broken Crescent: The Threat of Militant Islamic Fundamentalism" (2002) and "The Shah and the Ayatollah: Iranian Mythology and Islamic Revolution" (2003). Hoveyda was also a founding contributor of "Cahiers du Cinema," the influential French film magazine. He wrote the screenplay for Roberto Rosselini's 1959 film "India." Hoveyda is survived by his wife, Gisela, and two daughters, Mandana and Roxana.